Click here to get 15 IMPORTANT TIPS that will help you immediately achieve the success you envision. These tips will help you unlock some of the secrets to improved cash flow, better employees and quality planning and accountability. The sooner you get started, the sooner you will enjoy the results from these tips. Yes! I want the free tips! Hidden costs, incorrect pricing, late payments, low sales, high fixed overhead, poor spending habits, lack of productivity, competition, and wishful thinking. These are among the numerous factors that can lead to the number one reason why businesses fail which is inconsistent or negative cash flow. What can be done to reduce or eliminate this problem? 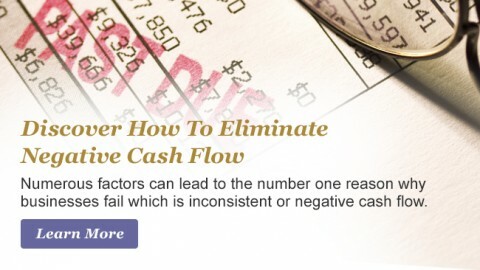 Click here for the FREE REPORT with 5 SOLID STEPS that YOU can take to minimize or eliminate negative cash flow! Bonus: With the FREE REPORT you will receive 10 MORE EFFECTIVE TIPS on how you can get ahead of the curve to prevent the adverse impact of employee problems as well as poor planning and accountability. Too many. Too few. Not motivated. Incompetent. High turnover. Employee embezzlement. Poor attitudes. Can’t find the good ones. Not sure how to lead and develop the good ones to get them to stick around. Know the key to growth is leveraging staff but unsure how to do it. Sound familiar? Hiring staff and employee challenges can be the hardest thing you do. Not only do you need smart, competent employees that don’t need micro-managing to stay in business, they are essential for your company’s growth. Click here for the FREE REPORT with 5 SOLID STEPS that YOU can take to overcome the hardest hurdle that hinders business growth – Employee challenges! Bonus: With the FREE REPORT you will receive 10 MORE REVEALING TIPS on how you can get ahead of the curve to prevent the adverse impact of inconsistent or negative cash flow as well as poor planning and accountability. In a typical scenario with no plan, fire-fighting is the order of the day with focus spinning from one idea to the next. Of course, without a plan, accountability is lacking and finger pointing becomes the norm. 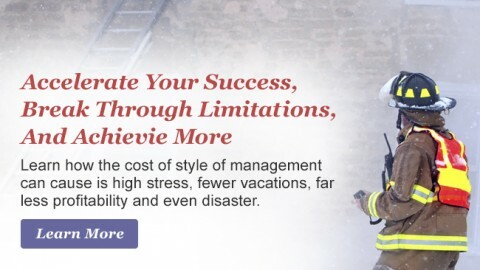 The cost of this style of management is high stress, fewer vacations, far less profitability and even disaster. If your company happens to be making money in spite of this management style, imagine how much less stress there would be and the money you could be making if you had a plan. Click here for the FREE REPORT with 5 SOLID STEPS that YOU can take to accelerate your success, break through limitations and achieve more! 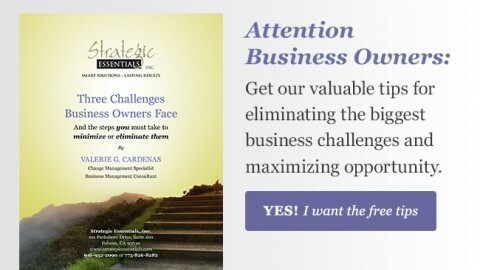 Bonus: With the FREE REPORT you will receive 10 MORE EFFECTIVE TIPS on how you can get ahead of the curve to prevent the adverse impact of employee problems as well as negative cash flow – the number one reason why businesses fail. Step Five: Believe in yourself What does belief in yourself have to do with keeping track of your numbers and using a cash management system? Everything! Believe in yourself enough to be real with your business decisions, your stated goals and information shared with your staff. Managing your cash efficiently will help you sleep deeply at night and give you the confidence to move your business forward with integrity. You will discern whether you can honestly afford to hire that next employee, sign a lease agreement or take money out of the business for your own personal needs. Last, but not least, when you believe in yourself, others will believe in you. You will attract better clients, employees and vendors. And yes, your cash flow will be heads above other companies that lack sound business practices. Your fiduciary responsibilities having been met or exceeded will help you take your business to a whole other level of success. Step Four: Keep Your Staff in the Loop Staff can and will be more effective if they know the parameters of the company needs – whether it’s how to correctly price a project, what is needed to bring the project on time and to spec, or how their performance can affect their future compensation and longevity with the firm. When staff understands with certainty what your expectations are for them, they will be more motivated, feel more trusted and help you create a company culture that everyone can enjoy. That culture should be one where everyone is on board for achieving company goals. They recognize that meeting goals is a must, not an option. If you feel your approach to cash management is lacking in some way, ask your key people for input. Some areas to ask include: Pricing How to achieve better quality sales How operations can be improved to help the bottom line Definitely get your bookkeeping staff involved. Rather than them holding back recommendations related to matters that could affect cash flow, help them to understand that it is beneficial for them to share all of their expertise pertinent with the company. Organizations managed by specific plan and strategy significantly out-perform less well-managed organizations of equal capabilities. 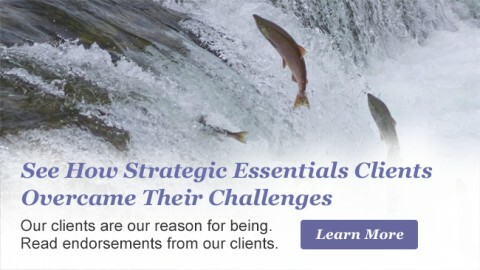 Planning and strategy become a significant competitive advantage. Read more. Locked behind the ingrained habits and attitudes of people lie vast reserves of unused potential for any organization. Read more. The most well-designed plan and strategy is only as good as the implementation. Read more. Leader-directed, positive change is not about direction but transformation. The degree of organizational awareness is the single most determining factor in managing effective change. Read more. Coming soon! For now, please contact us at 916-930-2090 or 775-826-8282 for more information.